An electric sunroof armed with a bounce – back system, offering you a panoramic view of the skyline. The sunroof has tinted glass for lesser thermal and light transmission. It offers a superb opportunity to enjoy the outside weather. LED running lights which are useful for daytime driving and Adaptive Front-light System. This system gets automatically activated under poor light conditions, and its light beams vary in shape for various driving conditions and patterns of street lighting. This leads to faster response to obstacles on the road, thus ensuring a safer drive. Special SKODA audio player and infotainment system equipped with touch-screen functions. It has the added advantage of being able to stream music from other devices via Bluetooth. Automated front – wiper system with rain sensors. The wipers adjust to the intensity of the rain all on their own. An automatic lighting system provides sufficient light under dull and gloomy weather conditions, so that you don’t face any problem while driving. Six airbags for enhancing safety for all the passengers and the driver. Firm seat belts for all the riders are also available. A new driver seat that can be electrically adjusted in 12 different ways. Three settings of the seat and the mirrors can be stored in the memory and retrieved with just a touch. Rear and front parking distance control. The Parktronic sensors determine the presence of obstacles around the vicinity of the car, and generate audio warning signals, helping you a great deal in making proper judgement while manoeuvring the car. Electronic Stability Control – Even if the new Skoda Octavia starts gliding and you tend to lose your grip on the car, the ESC facilitates to keep your control in all similar critical cases. The ESC is capable of avoiding wheel lockup, under – steer and slip of the car. Thus ESC is the singular most important device to ensure total safety and security of those riding the new Skoda Octavia. The new Skoda Octavia has an impressive design. With the maximum precision, perfectly proportional dimensions, sharp edges and clear lines, the new vehicle beats all its contemporaries. The powerful look of the new Skoda Octavia is made more pronounced by the Tornado line, giving the car a unique crystalline designer appearance. A petrol driven Skoda Octavia Active 1.4 TSI with manual transmission comes with a price tag of INR 13,95,000 in New Delhi, INR 14,19,800 in Hyderabad and Bangalore, Chennai and INR 14,30,441 in Mumbai. These are ex – showroom prices and the on – road prices may be 30 to 40% more. 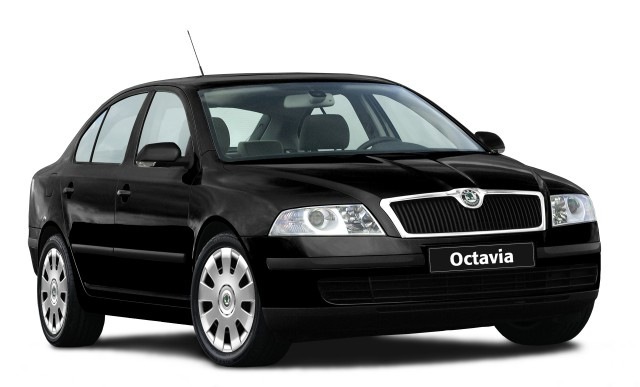 A petrol driven Skoda Octavia Elegance 1.8 TSI AT with automatic transmission has an ex – showroom price tag of INR 18,71,295 in Mumbai, INR 18,57,444 in Chennai, Bangalore and Hyderabad and INR 18,25,000 in New Delhi. Diesel driven Elegance 2.0 TDI CR AT with automatic transmission starts at a price of INR 19,45,000 in India.